This defaults to protect your Documents, Desktop, Pictures, and Movies folders, and you can tweak these settings to include other folders and whitelist approved apps. In the Windows Security App, access the Virus & threat protection tab, and click Manage ransomware protection. If you have a company-issued phone, or subscribe to a Bring Your Own Device policy, you can set your desktop to lock automatically if the phone (and theoretically, you) wanders too far away from an unlocked workstation. To use Dynamic Lock, you need to first let your devices communicate with each other by linking them in Control Panel > Hardware and Sound > Devices and Printers. Once that’s done, you can navigate to Settings > Account > Sign-in options to turn on Dynamic Lock. Are you tired of the multitude of Live Tiles taking up your entire screen every time you access the Start menu? Windows 10 allows you to drag them over each other to consolidate them into folders that expand out when clicked on. Once these folders are open, you can even name them. Restarting your system is a necessary evil when installing updates. 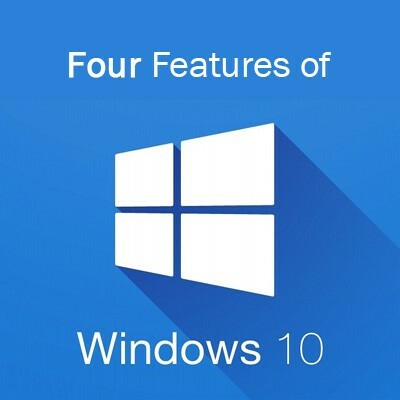 At least, it was until Windows 10 was configured to permit users to schedule the restart to take place automatically, at the time of their choosing. Now, rather than having to repeatedly click “Remind Me Later,” you can set your computer to wait until you’re good and done using the device. You’ll probably be home by 2 AM, right? By navigating to Settings > Updates and Recovery > Windows Update > Restart options, you can turn on this feature and schedule your preferred time. This is just a brief sampling of how you can better leverage Windows 10 to help you to achieve your work. Do you have any handy tips to share? Leave them in the comments!